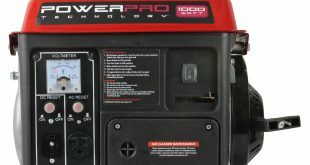 Honda EU2000i portable generator Revan In-depth Analysis, If you are searching for the perfect inverter generator, you will need to do some market research first. 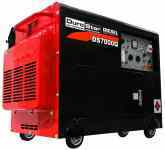 Among many other generators, you will find Honda EU2000i generator for your needs. It has a compact size with great functional advantages. 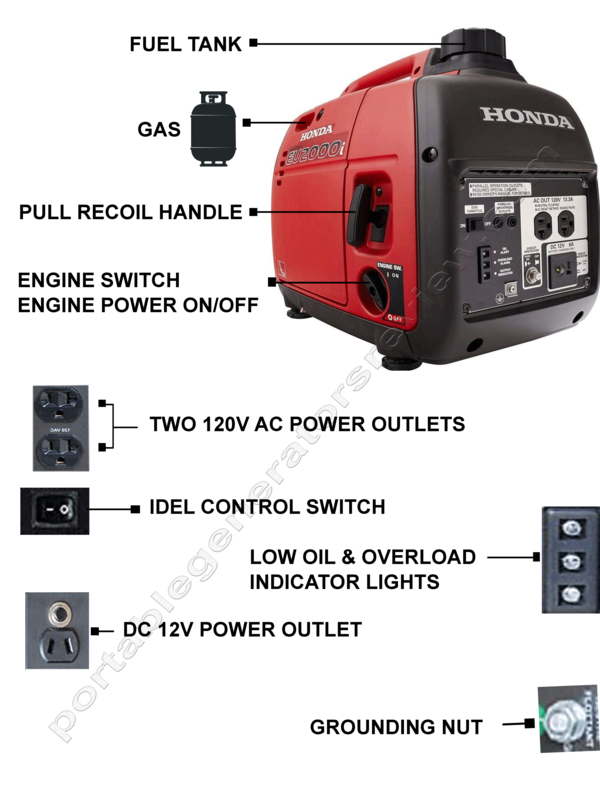 My Honda generator review would help you in getting acquainted with the features, the functional levels and the pros or cons of the product. Honda EU2000i has a suitable price and has spots that make it a top choice over other brands of the price range. Honda EU2000i weighs around 46.3 pounds. The generator runs on Gasoline. The generator holds 1.1 gallons of oil in the tank. This can supply 1600 watts continuously and 2000 watts when it is at its peak. And run for 4 hours straight at full capacity and for 9.5 hours at 1/4th capacity. It has two AC outlets and one DC outlet. It has integrated handle. The generator shuts itself down when it is low on oil to prevent any accidents. The engine is covered by default, but one can easily remove the cover prior to using this product. How Well the Honda EU2000i Portable Generator Operates? Honda EU2000i portable generator really well. 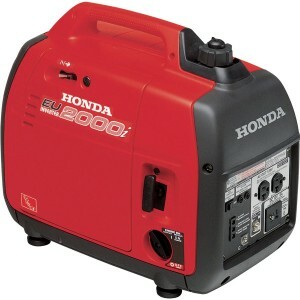 My experience with Honda EU2000i will tell you that it has this high rated capacity of 2000 Watts. You can keep the lights of your house, the internet and even the oven running for a long time with the help of this generator. It is particularly helpful with power outages or when you are trying to extend the reach of power in times of functions and meeting. It doesn’t have the traditional “One Touch Start.” Rather it follows the pull-start mechanism. Even then, it starts easily. Honda EU2000i doesn’t have the resistance problem which causes shoulder pain when you pull the leaver to start some of the generators in the market. Once started, it can be moved around by using an ergonomic handle that comes with it. Even the fuel tank is comparatively small for this model. That is why there is no extra weight. The other thing that makes this generator a top product is it’s noiselessness. Unlike many portable generators, it generates noise of 59 decibels only. This is just enough to cause a “Hum” in the background of things while you watch TV or listen to music. It is ideal if you go camping with a group. You can use the generator because the noise level is very low. Let me be honest with you, the fuel entrance is narrow in the generator. So, pouring the fuel in can be troublesome. But you can carry the maintenance job really easy. It shuts down when fuel is low to avoid malfunctions. The servicing of the knobs, parts and the plugs that this generator has, is easy too. You can enjoy three years of warranty if you purchase this generator for personal or even commercial use. The Honda brand actually brought out the concept of Portable Generators. With this model, it proves that it still has what it takes to rule this industry. 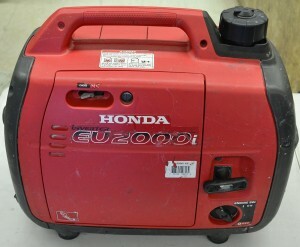 As the other reviews about Honda EU2000i say, this portable generator is also an inverter. So, it can back your PC or laptop up in times of power crisis. But the pity is that you cannot monitor how much fuel you have left and there can be laps in voltage from time to time. But it still is a good buy and offers value for your money.